The NanoMuscle NM706-Nitinol wire (shape memory alloy) actuator is also available in large quantities. 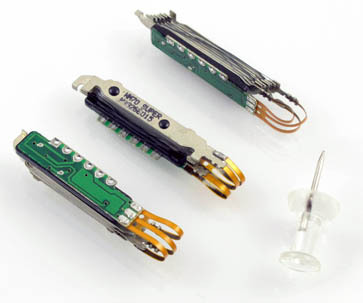 The NM706-Nitinol wire actuator provides 0.16" of stroke with 2 oz. output force. MOSFET driver is available for controlled actuation.